No Problem! 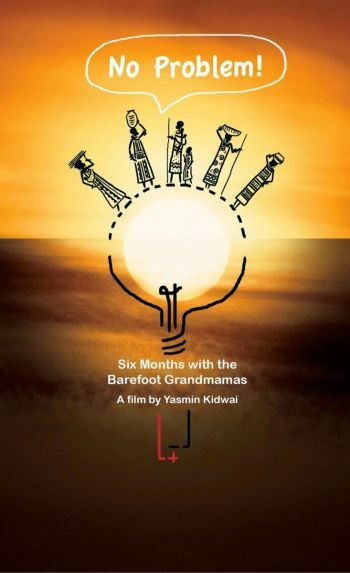 Six Months with the Barefoot Grandmamas is about the rural solar electrification project run by the Barefoot College in the village of Tilonia in the state of Rajasthan, India, where numerous illiterate rural women from all over the world, particularly Africa, are being trained as solar engineers. The solar-electrification project symbolizes hope — as a simple idea originating from a little known village in India has the potential to impact global communities. The film showcases these courageous women — most of them middle aged grandmothers — full of optimism, often fighting against their traditional roles and duties, to be a part of a life-transforming journey not only for themselves but for all those who they will take back light for. Through their stories, a fascinating tale of sustainability, demystification of technology, and social inclusion unfolds.